Cryptocurrency stories find themselves headlining the global news on a regular basis. This news usually consists of general crypto news, whether (and when) Bitcoin will be accepted as fiat money, the release of new coins, and the up and down Bitcoin price movements. The pending legitimisation of Bitcoin, followed by other digital currencies, is further underpinned by the following facts: The CBOE opened a Bitcoin futures exchange towards the end of 2017, there are currently 120 Bitcoin hedge funds, and a Bitcoin EFT is on the cards for the future. 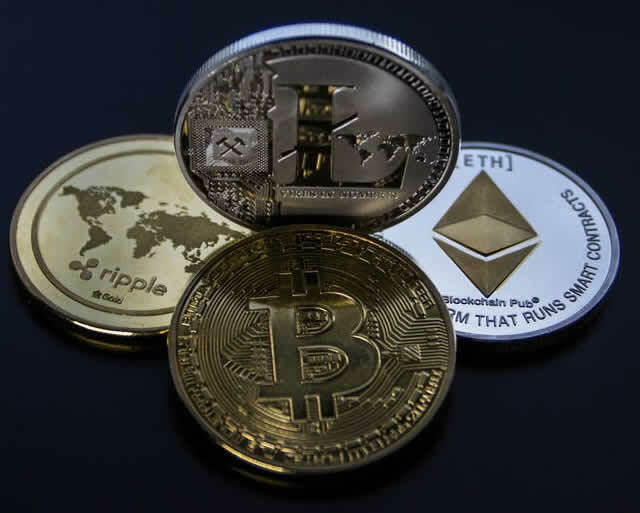 Therefore, the burning question is presently not whether to invest in cryptocurrencies or not; it is whether to buy and sell actual coins on a cryptocurrency exchange or whether to trade cryptocurrency CFDs. In summary, a Contract for Difference is a futures contract (or financial derivative) which allows the investor to take advantage of a linked asset's price movements without having to lay out large sums of money to purchase the underlying asset. It is a legal agreement between two parties. In our case, the contract is between the brokerage firm and the investor. The terms of the contract state that the trader (or CFD broker) will pay the other party the difference between the opening price and closing price of an underlying asset for the duration of the contract. Who pays whom is determined by which way the asset's price moves in relation to what is stated in the agreement. The CFD's nature is that it is uniquely suited to volatile financial market assets like cryptocurrencies and foreign exchange. The commonality between these two asset classes is that they both have rapid price movements, both up and down, throughout a single trading day. Thus, making both these asset categories ideal to trade in using the CFD investment vehicle. In this option, virtual coins are bought and sold on one of the cryptocurrency exchanges using either fiat currency (USD, EUR, GBP) or another digital coin. Traders do not trade on any one of the cryptocurrency's price movements. Investors hold the number of digital coins that they have bought less the number of coins they have sold. Possibly the best way to explain the pros and cons of crypto CFD trading versus holding digital coins in a secure wallet is to cite a case study using the Bitcoin price as an example. Without delving into the Bitcoin price history from its inception in 2009, it is important to note that by looking at its historical price movement cycles, the Bitcoin price starts off at a low point and tops out at a high point during a cycle. Each time this cycle has occurred, the coin's lowest value is higher than the previous lowest point, and the position where the price tops out is higher than the previous highest value. For example, the last price run started at just under $1000 USD ($985) in January 2017 and turned at circa $20 000 (USD) in December 2017. The price has since dropped rather rapidly, and it is currently hovering around $6000 (USD). The salient point in this example is that it is challenging to determine when these price cycles start and end. Furthermore, the age-old trading adage is “buy low, sell high.” Therefore, how do you decide when each price cycle is at its lowest point and when it is at its highest point? Not being able to answer this question with any certainty is the most significant disadvantage of buying and selling virtual coins. In fact, it is relatively easy to buy and sell at the wrong time; thus, losing more money than you initially invested. On the other hand, as mentioned above, trading cryptocurrency CFDs does not require you to purchase large volumes of the underlying asset. You trade on the asset's price movements (both up and down) by opening and closing a trading position based on the Bitcoin price movements. The cost of trading on CFDs is far less than buying and selling virtual coins; therefore, you can safeguard your investment by reducing its exposure to risk.